A gourmet tea gift basket is always an appropriate gift for any tea lover – whether you want to celebrate a special occasion or simply do something to turn an ordinary day into a special one for a friend or family member. Click on the images below to shop for beautiful tea baskets that you can customize, offered by DesignItYourselfGiftbaskets.com. Please note that DesignItYourselfGiftBaskets.com is a separate entity from Learn-About-Tea.com. All products, services, claims, and transactions by Design It Yourself Gift Baskets are the responsibility of Design It Yourself Gift Baskets. Learn-About-Tea.com is not liable. Disclosure: As an affiliate, Learn-About-Tea.com is paid a commission for purchases made through the above links that help fund publishing this website. 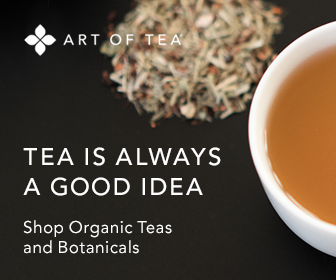 With the ever-growing popularity of tea as a delicious alternative to coffee, coupled with the many studies pointing to the health benefits of various blends, it is easier than ever to find retailers who offer a variety of tea basket choices. Tea houses, specialty food stores, florists. and even bakeries now offer gift baskets that feature different types of tea, cups and brewing accessories. There are also a variety of online retailers that ship gift baskets and teas anywhere in the world. Some enable you to select specific items you want included in your gift basket and offer expedited delivery to the recipient with a customized card or note. As you evaluate your options, select a seller who has experience with different teas to ensure your gourmet tea gift basket is filled with the highest quality loose leaf or packaged tea to ensure freshness and flavor. You should feel comfortable asking questions about various tea types that are included in your gift basket. Ideally, the retailer should have the expertise to suggest specific blends that may appeal to your friend or family member. If you want to give a gift basket that features a selection of tea bags rather than loose tea leaves, make sure the brand of tea bags features quality tea grades to ensure tea-drinking enjoyment by your gift recipient. Quality and variety of other items included in the basket such as baked goods, honey or sweeteners, tea cups, infusers, spoons, decorative napkins, and other tea-related items and gifts. In addition, select a retailer that has been in the gift basket and gift delivery business for a number of years. Customer service numbers and email contacts should be readily available, as well as a satisfaction guarantee.